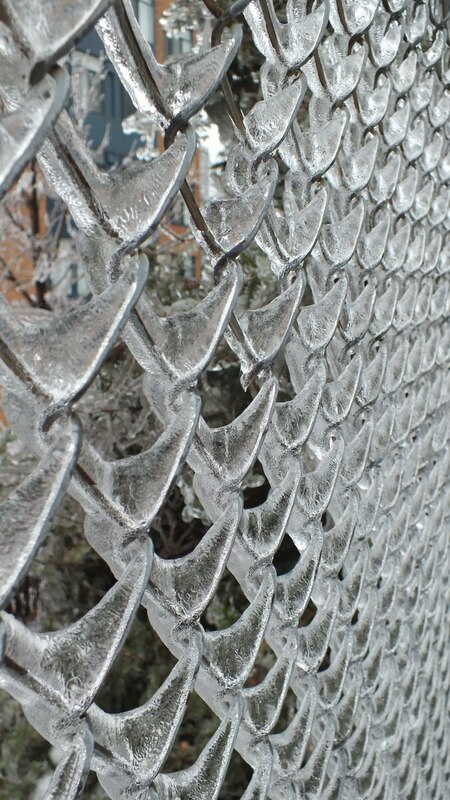 When people talk about Ice Storm Toronto 2013, I’m sure there will be much chatter about the devastation and suffering in the city, but many of those same people will readily acknowledge the transient beauty of an ice-encrusted world. 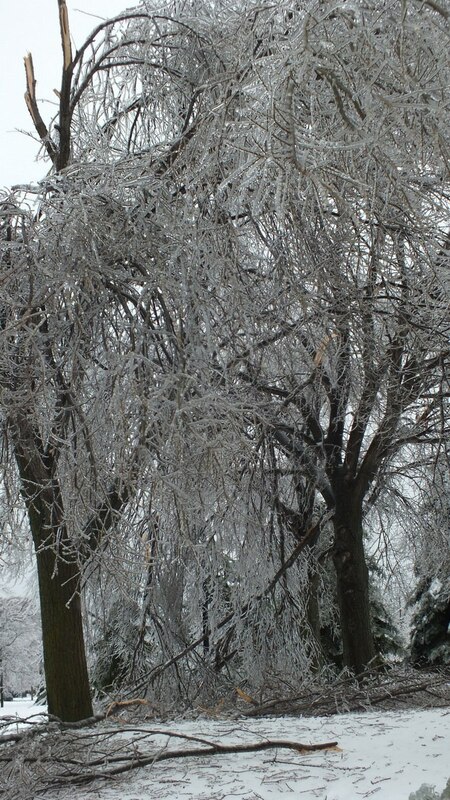 In the hours subsequent to the brunt of the storm, Bob and I set out on foot to uncover some of that hidden splendour. The quiet beauty of an abandoned street spoke to me of simpler times. 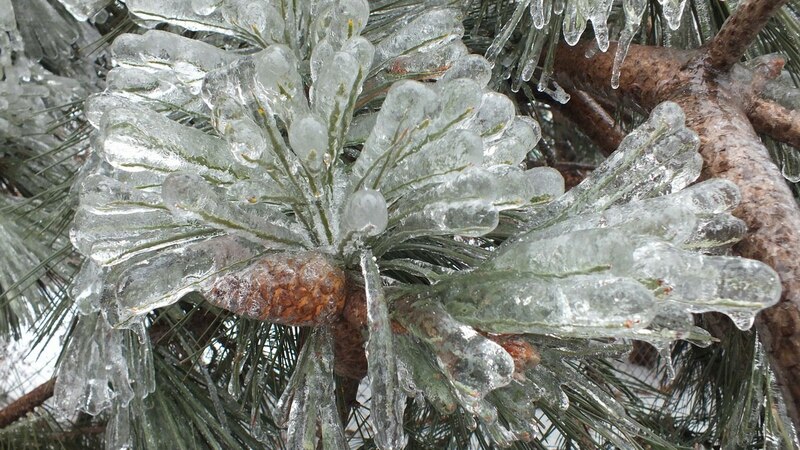 Ice-encrusted pine boughs illustrate the resilience of our native trees. 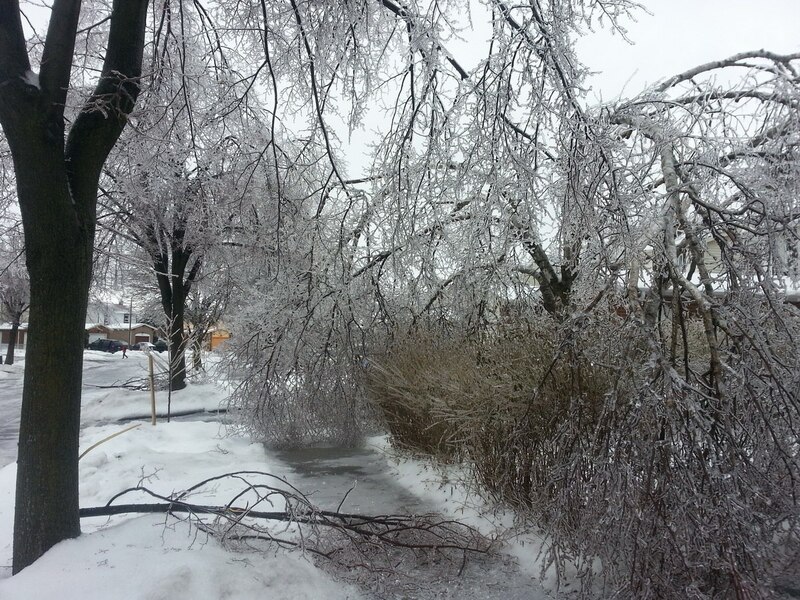 There was sufficient damage to the city’s trees on our street alone that we are sure it will take months of cleanup to reestablish some semblance of normalcy. 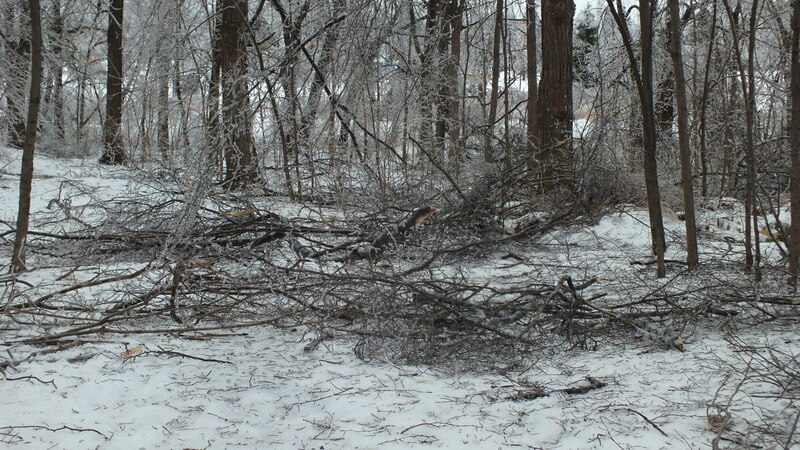 We were grateful, in our area, that the wind did not get up as expected, lessening the destruction to the canopy. 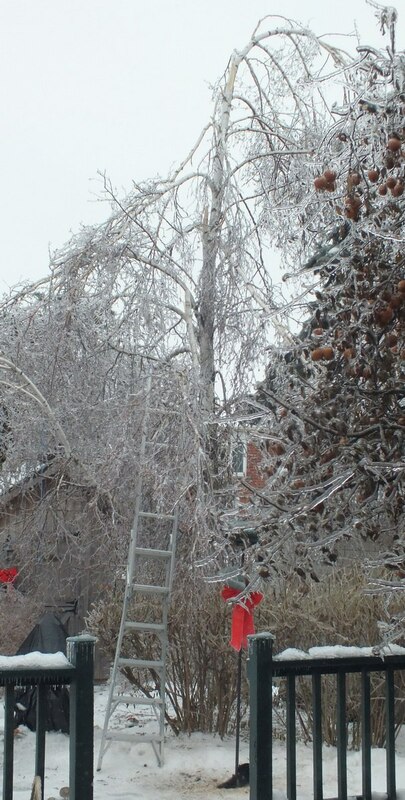 In our neighbourhood, the white birch trees seemed to suffer the most damage. 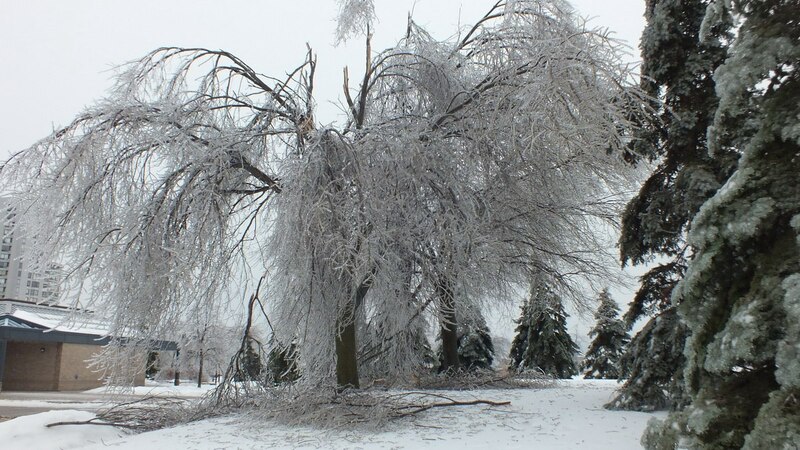 On our own property, the tops were snapped off of all the birch trees, plus several broken branches still hang tenuously by frail white threads. 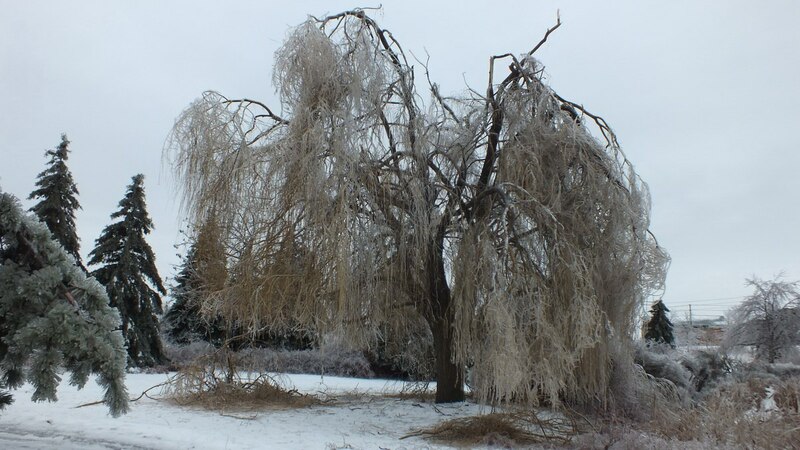 With the tips of thin branches now brushing the ground, many will likely be unable to spring back up but may remain permanently deformed. 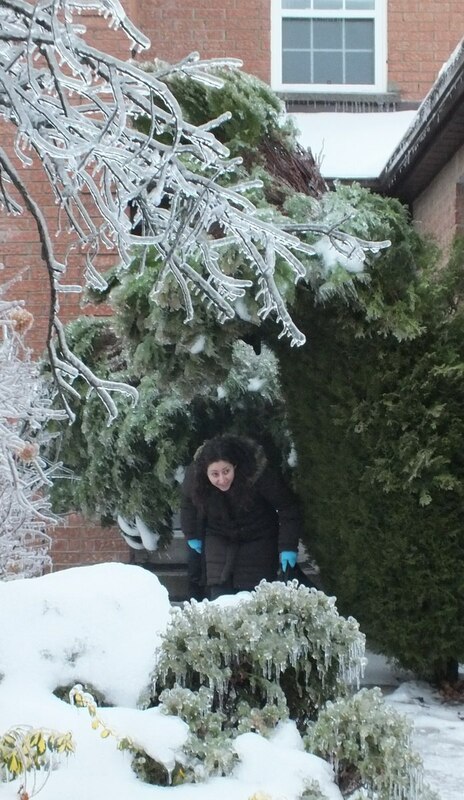 The weight of the inch-thick layer of ice had trees bending over backwards, as seen here where people had to duck low beneath a spontaneous living arch in order to emerge from the front door of their home. 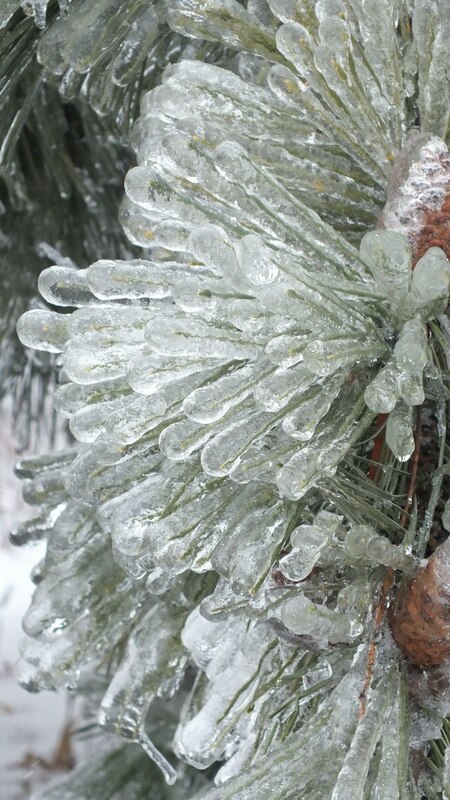 Manufacturers work hard to replicate the natural look of this glistening pine bough when creating artificial greenery. 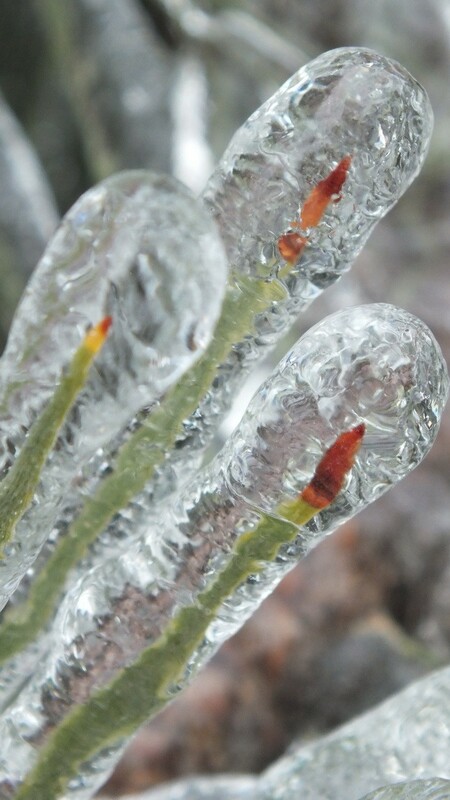 yet with each needle encapsulated in its own protective sheath. The poor birds were desperate for something to eat these past couple of days…and I see no sign in sight of that crisis ending. 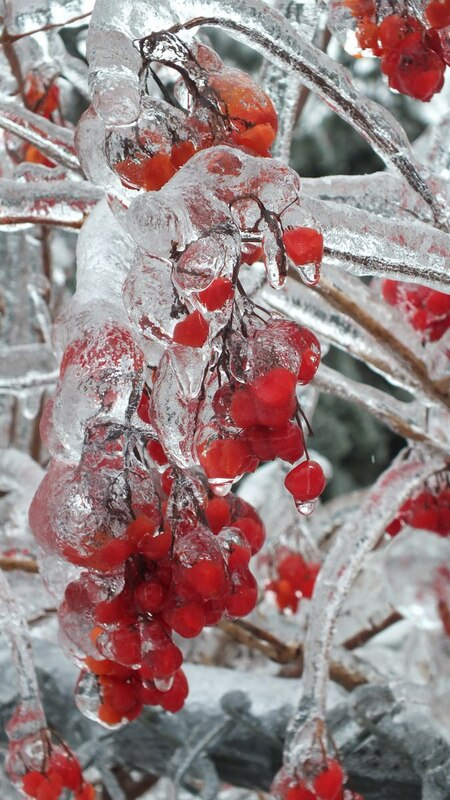 All available fruit is preserved in a hard shell of ice that defies access by pecking. On our own deck, a small flock of starlings fought over a few fallen apples because those still on the tree were as candy apples encased in a crunchy, hard, candy coating. Once fallen, the crust shattered and the juicy flesh was revealed. 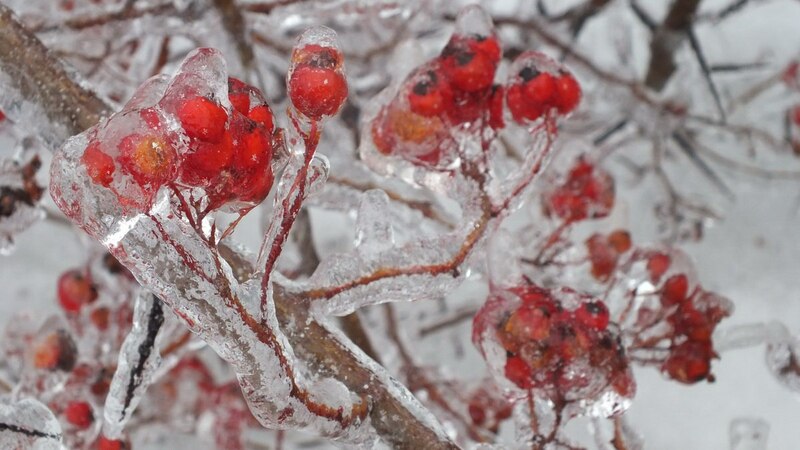 The contrast of vibrant red berries against the shimmering crystals reminds me of festive greeting cards exchanged between friends to pass along holiday wishes. 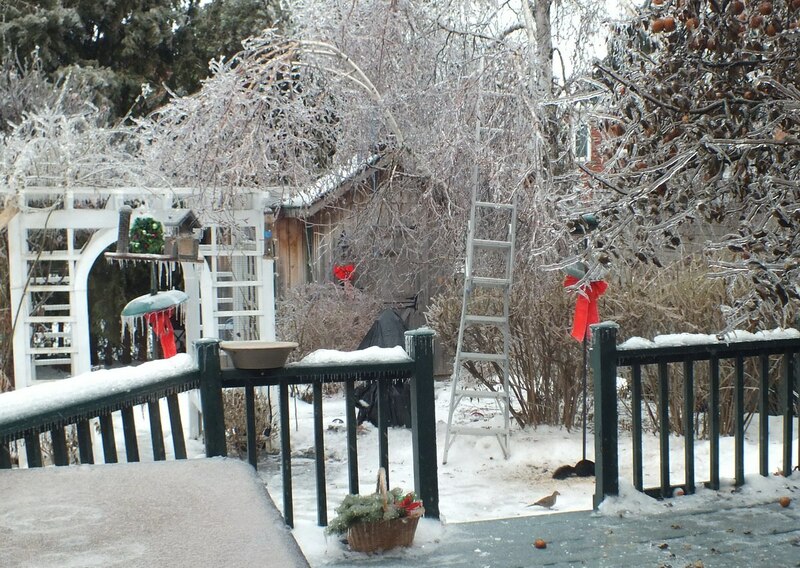 Over six inches of ice accumulated on the deck railing, and Bob reinforced at least one branch of a birch tree with our extension ladder to help prevent further breakage during Ice Storm Toronto 2013. 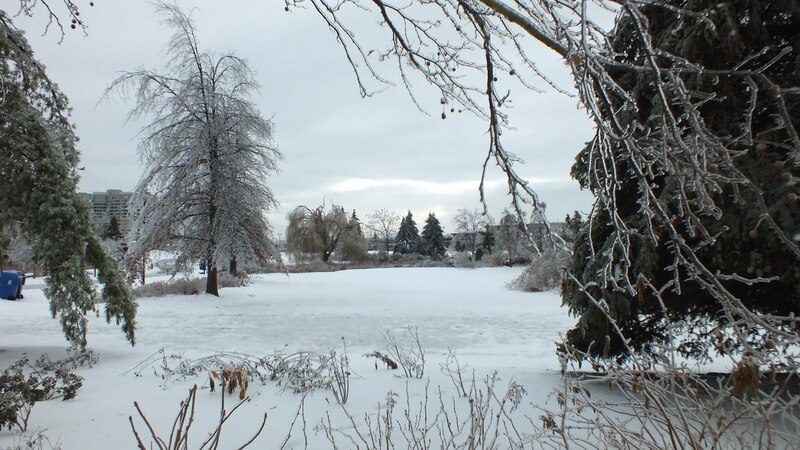 With handy dandy ice grippers strapped to our snow boots, Bob and I have navigated the neighbourhood streets and even ventured over to the local park. With sun barely in evidence these past couple of days, the scene is reduced to a black and white rendering of the wintry landscape. 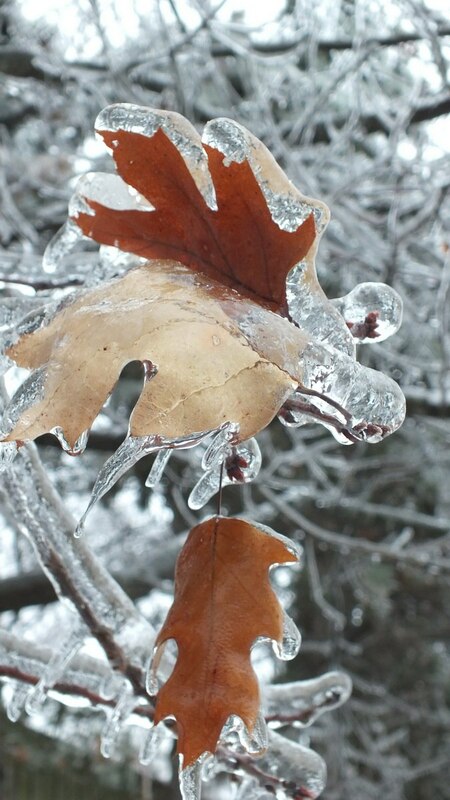 The extremely long, mild autumn sees many trees still retaining their coloured leaves, which may now be torn from the branches by the sheer weight of their icy sheaths. 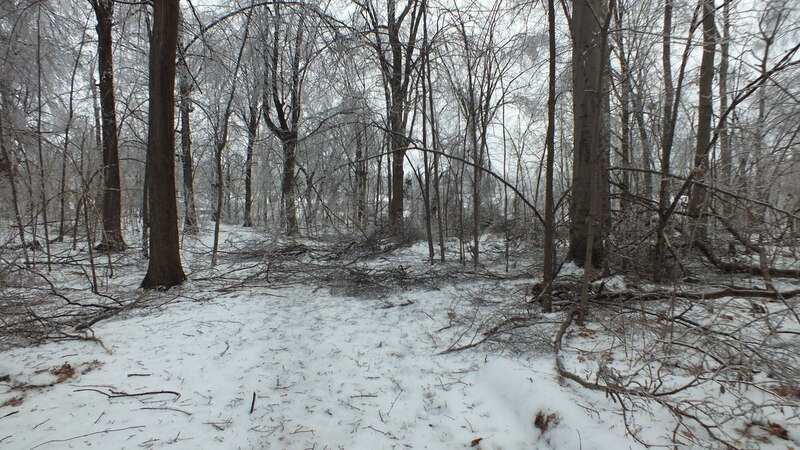 The small forest at our local park has myriad trails throughout, but with all the debris from fallen tree limbs and trunks, it was difficult to distinguish where the trails had been. Frozen ruts made walking difficult even with the ice grippers in place. Bob and I felt at risk walking beneath the forest of trees so hastened to remove ourselves from the danger of more falling tree limbs to the safety of the walkway adjacent to the pond. With every passing breeze, the air was filled with clacking and creaking, snapping and popping. 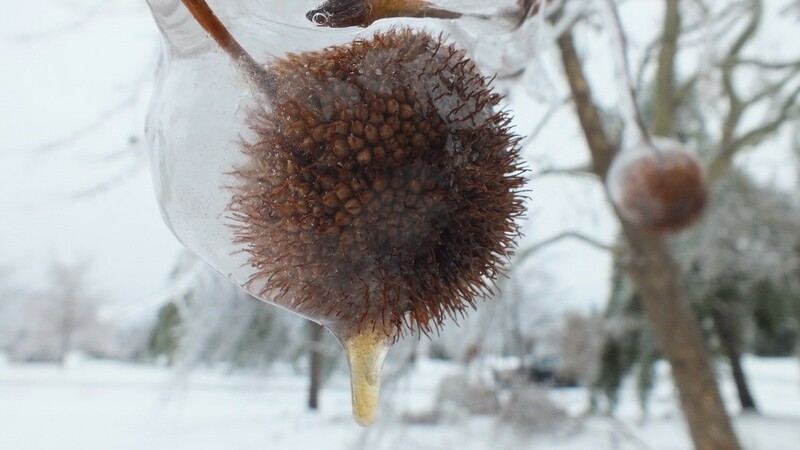 A closeup study of this prickly nut indicates that the freezing rain was driven from the east giving rise to only partial coverage of the bristles. I had to chuckle when I spotted this neatly discarded Tim Hortons’ coffee cup. 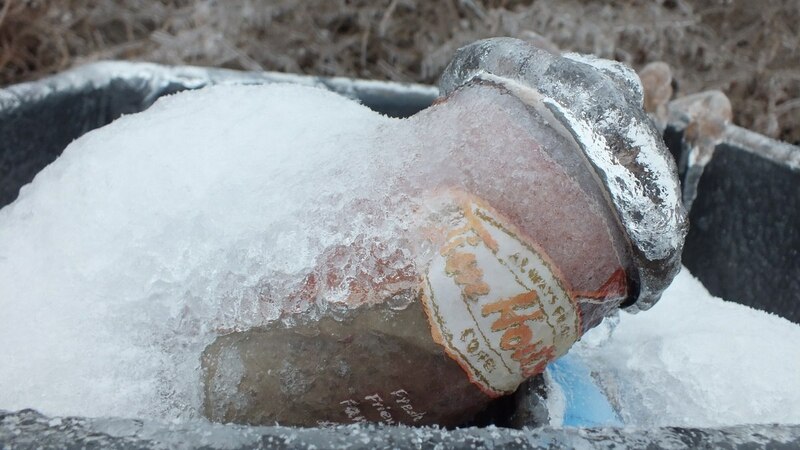 Talk about an Iced Capp! 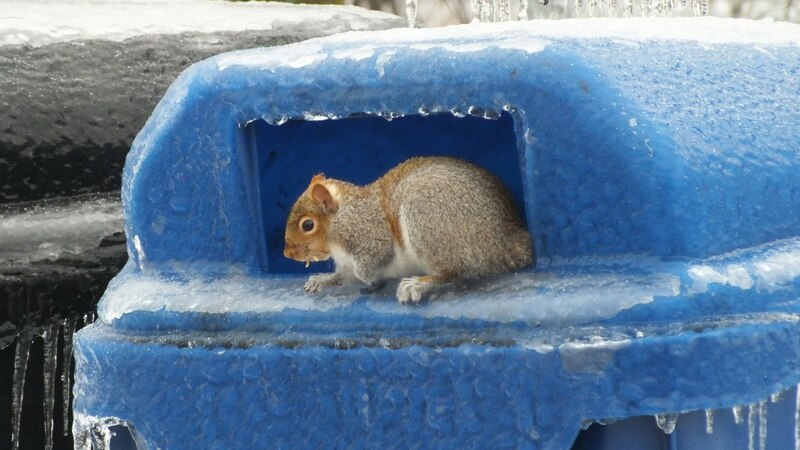 But this grey squirrel, and its black cousin on the neighbouring bin, found that the tidbits discarded by we humans were about the only available source of food in this polar landscape. A reminder of the season. Feliz Navidad…Joyeux Noel…Merry Christmas! 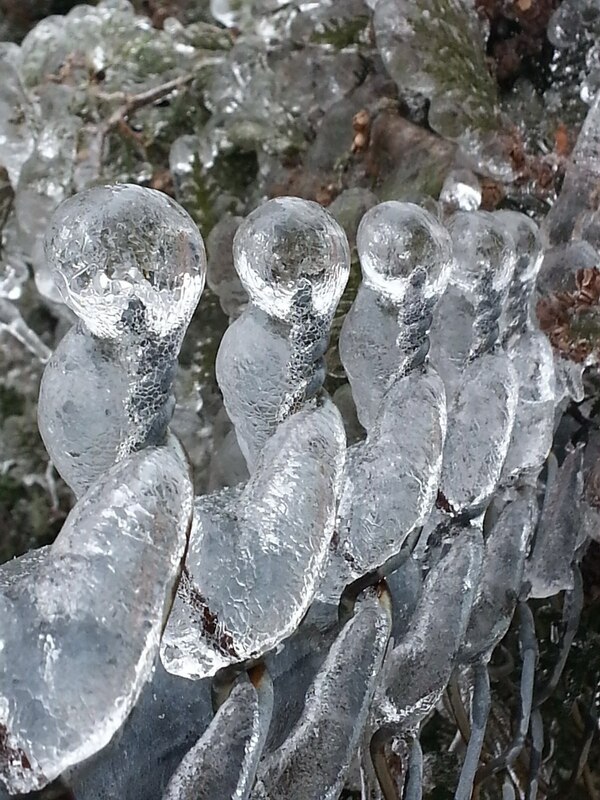 Great photos of the ice. Thanks for posting. Thanks,Stella. We headed outside, during the aftermath, for lack of something else to do. 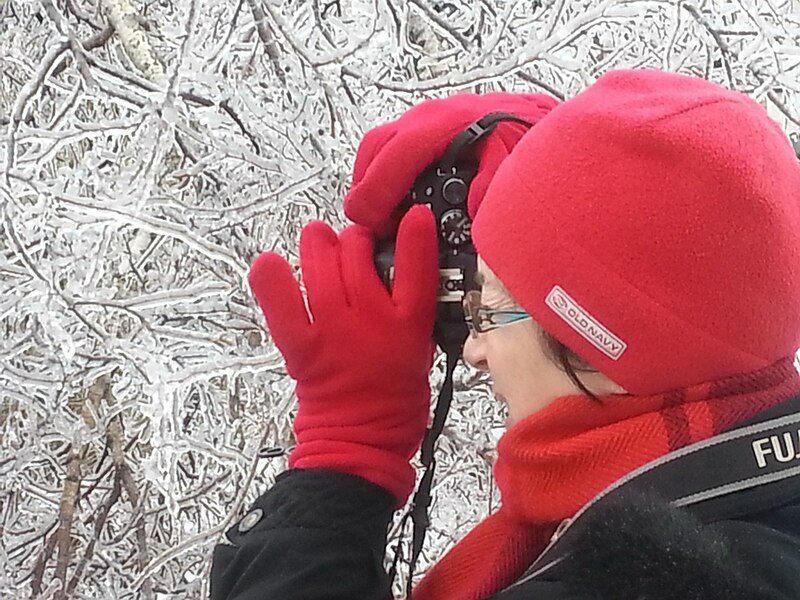 Without hydro, our idle hands allowed us to wander the streets and take pictures. The best part, though, was that most neighbours were outdoors too, so we got to meet a lot of people that we had never seen before. The crisis really did bring people together. 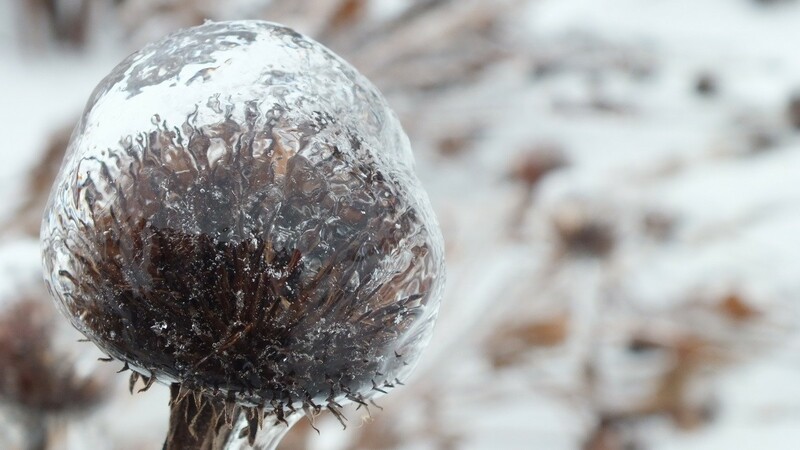 Your photo’s prove that you don’t have to go to far from home to find beauty in nature. Absolutely! And believe me, we were not going very far from home during the days immediately after the storm. Rather, we cocooned in the comfort of our own home, at least after we got our hydro back. It was quite an experience. Your photos are so beautiful. It is wondrful to see the beauty iin the midst of destruction. Thank you for sharing. Have a very Merry Christmas. I always enjoy your adventures and the photo opportunities they offer. 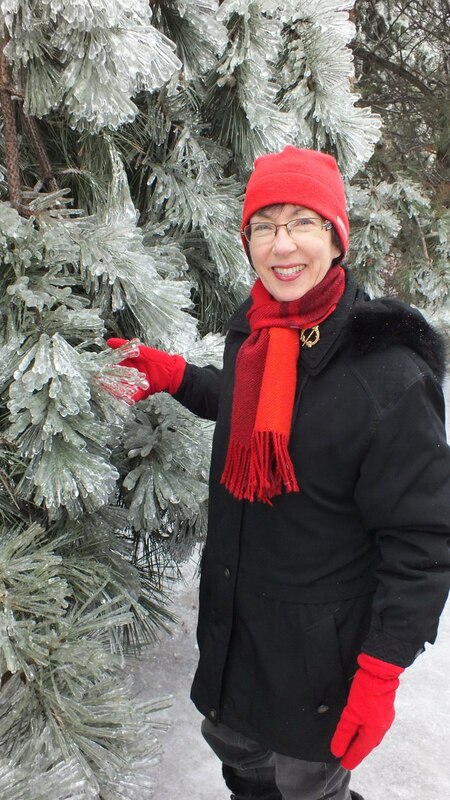 Ann, I hope that you have a wonderful Christmas, too. 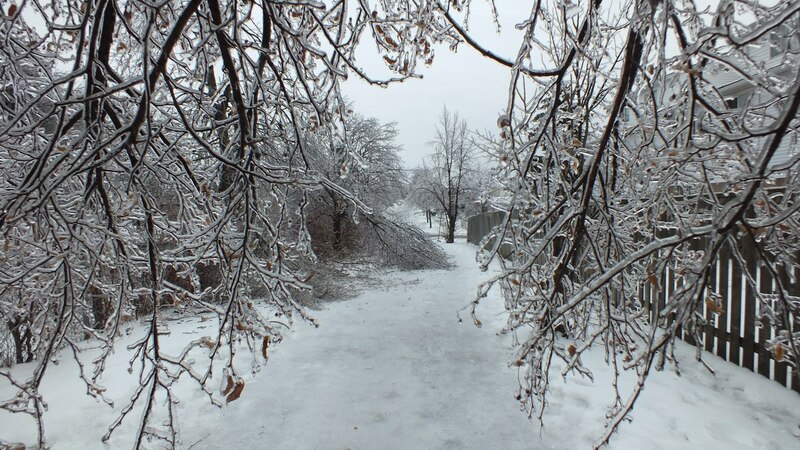 Like plans made by so many others, ours’ have had to change, but at least we can celebrate knowing that everyone in our family survived the ice storm without suffering any personal injury. Thank you for following our blog. Through our eyes, we hope to awaken the appreciation of others for the natural beauty of the world around us. Beautiful imagery and equally beautiful commentary! 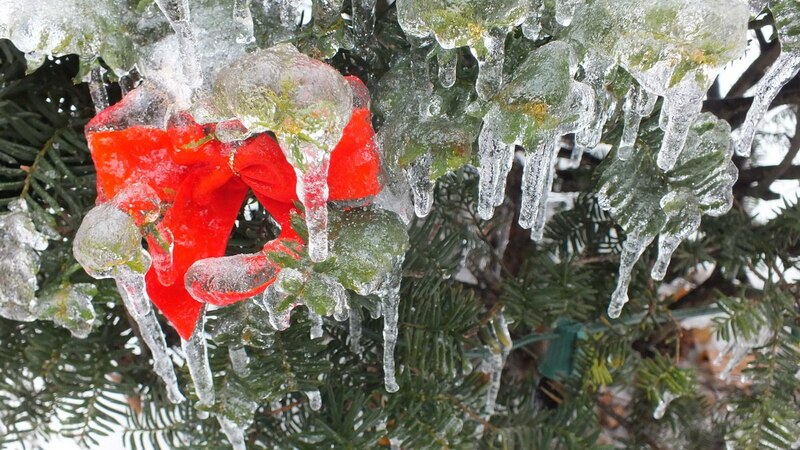 A lovely documentation of a devastating storm! Thanks for reading our article. Sadly, it has affected our plans for the next couple of days, but we are happy that we have managed to deal with the obstacles presented to us. 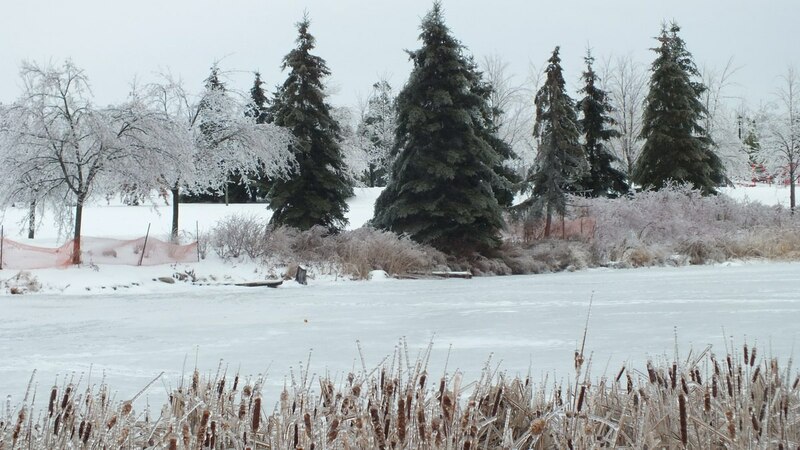 With the freezing temperatures expected over the next while, it is hard to say when the ice will melt away. Everything was literally sparkling when the sun broke through the clouds late this afternoon. WOw, what gorgeous photos of the carnage!! 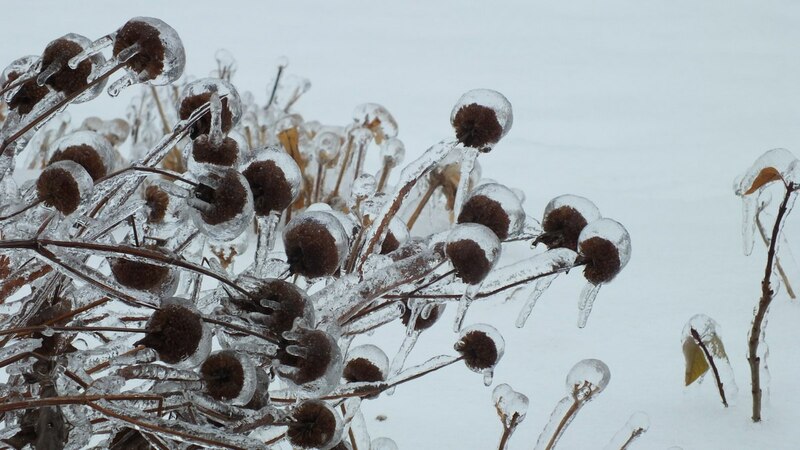 I know it has wrought havoc, but it really is beautiful to see everything covered in ice. We were very lucky not to lose power here. 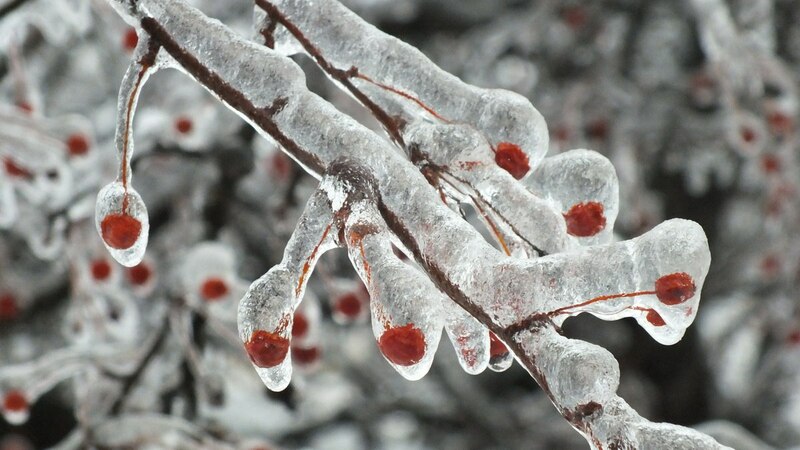 We got a lot of ice pellets, but not as much freezing rain as in the Toronto area. Merry Christmas! Thanks, Natalie. 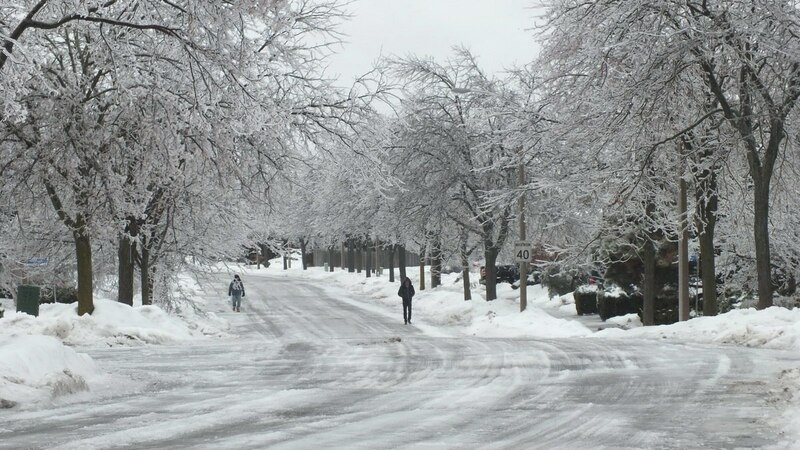 We could not help but see the beauty in the sparkling aftermath of the storm despite feeling very sad about the damage to our own trees and those lining our streets. 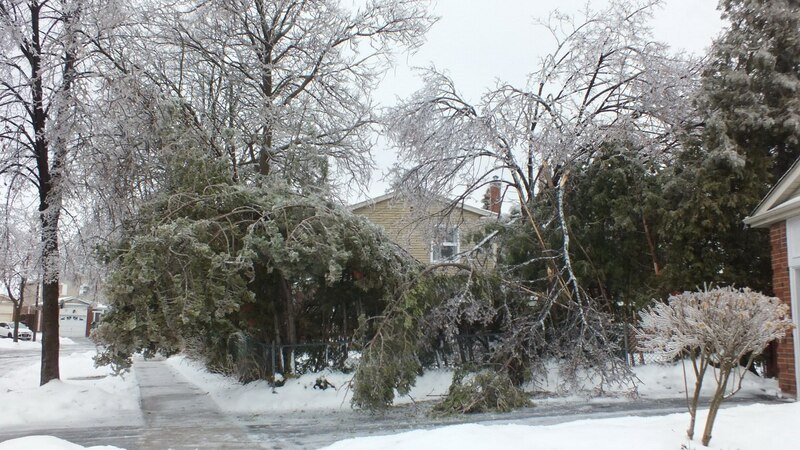 We were without hydro for about 36 hours is all, but it felt like days. Thank goodness for landlines for contact with the outside world because the internet was totally undependable.